Last year was my 1st time running this race, and I really didn’t like the course — not enough big hills to power hike! I.e. I thought it was too runnable. But this year I knew what was in store and mentally I did not get down as much, grinding out a lot more running than I’m used to. My goals going in were to break 5 hours, crack the top 10, and finish before Kelly and Heather could finish the 12 miler (which started an hour later), shuttle back to the car, and drive to my finish. Of course, beating last year’s time would have been nice, but I knew this year would be much hotter by the end. I checked and last year my Garmin showed 60F at the finish and this year it was 77F. That’s Garmin temp and not actual outdoor temp, but I think it isn’t that far off. Maybe 72 or 73F this year the last hour. I won’t write a lot… There’s not much to say. I jumped out with the top 10-15 runners… I was surprised there were 4 ladies in front of me, but they seemed solid. After a while I decided to slow down — I definitely prefer to run by myself and not in a group where I got sucked into their speeds vs. my own. I ran comfortably, and was a bit surprised at my GPS pace — it was a slower than I had hoped. But I knew if I sped up, it would be a difficult second half, so I just stayed within myself. I had two hopes: 1) that my GPS was tracking short and 2) there would be carnage up ahead. 🙂 I don’t know this course that well so I wasn’t sure on the GPS, and even at the turn, I couldn’t recall if it was was exactly at the half way point, so I really didn’t know if my GPS pace was right. At some point on the 1st half I passed three of the four ladies, but didn’t pass anyone else the rest of the 1st half. I hit the turn and didn’t ask for an update on placing. After the lollipop it was a bit crowded for a while with both 12 milers and 50k runners still coming in to the turn. I saw Kelly and a few minutes later saw Heather, and she told me I was in 12th and that there were several “catchable” runners in front. That was good motivation, but I opted not to run any harder, just to stay strong and steady. I eventually passed four more runners to move into 8th overall. 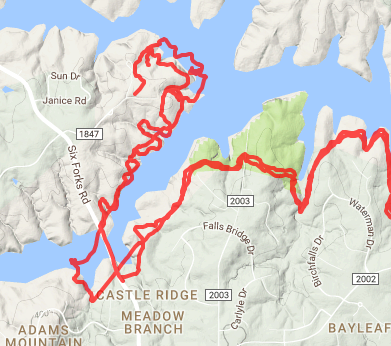 I don’t like the look at miles 25 – 31 on the race analysis, but then if you look at the GPS track it definitely started misfiring as it had me in the water, missing the bridge, etc. 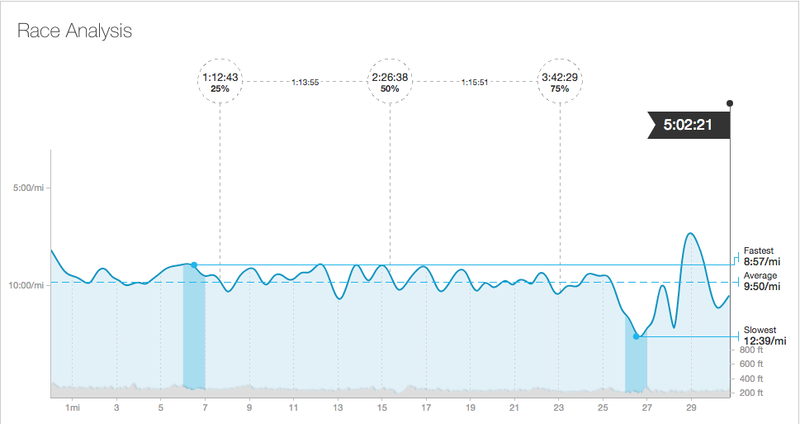 And the race stats show I slowed down some on the return, but not to terribly much. About 7 minutes whereas most others in the top 10 dropped 20 or more minutes. I guess the heat did get to most everyone. Food was 3 or 4 vFuels and 3 coconut date rolls. Other than that I just topped off on water at the aid stations. I used MAPs the entire race and a few Endurolytes in the 2nd half. In hindsight, the “C race” marathon 3 weeks prior, in which I ran within 90 seconds of an all time marathon PR, was not quite C race enough. Recovery from that was hampered by a bit of a L cuboid issue, and the runs I did have all felt sluggish until the final few days before the 50k. But I’ll take the BQ and the top 10 finish at MST. Even though I have the Bryce 100 DNF monkey on my back, I am just not feeling the call to go back this year. I’ve certainly thought I would do that all year, but wanted to hold off on registering until after the 50k. But right now, the call is not strong enough… And you can’t run a 100 unless there’s a strong call. At least I can’t. I seem to much better suited to the 50k-50 mile distance vs. the 100s, at least at this point in my running carrier. I would probably do well at 100k, too. The 24 hour times races I’ve run have often been quite strong into the 60’s and even 70’s, but beyond that, I’ve slowed and struggled. I’ve been consistently running since 2009/2010, after several years post knee surgery where it was quite difficult to run more than 30 minutes a couple times a week. 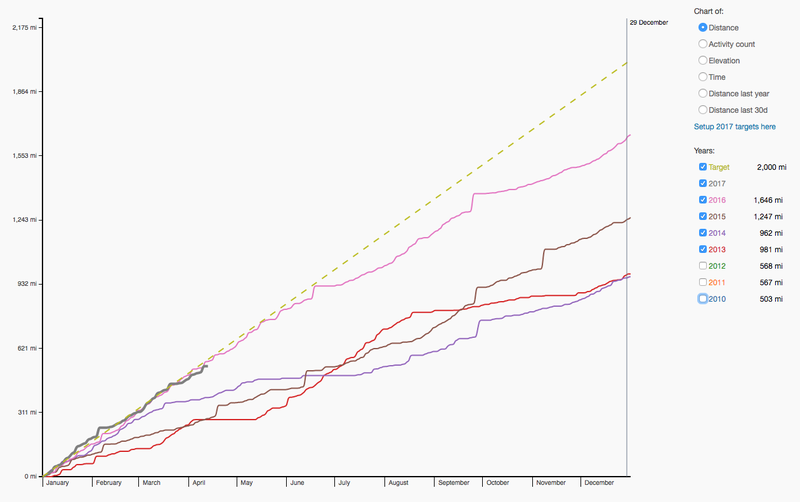 But that consistency has been a slow progression from 15-20 mpw, to last year’s 32 mpw. That’s not nearly enough to “run” 100’s well. I’m not sure what the future holds for 100’s, but at least for right now I want to work on being more consistent with 40-50 mpw weeks and see how that treats me. As a person with a history of niggles that slow me down quite often, it may be difficult, but I think it’s the right thing to do.